Every diet promises to be the quick and painless way to lose weight. And each recommends a different route. Small wonder if by now you’ve decided that there isn’t any diet that is right for you. But there is. Best of all, it is one that fits your life, and it works! The most important part of any diet is “you.” You must be able to live your normal life with it. You have to be able to stay with it comfortably so you can take weight off and keep it off. This means that the diet has to keep you nourished with food you like, and let you eat that food on a schedule that suits you. If this sounds like a personalized, tailor-made diet, you are right. 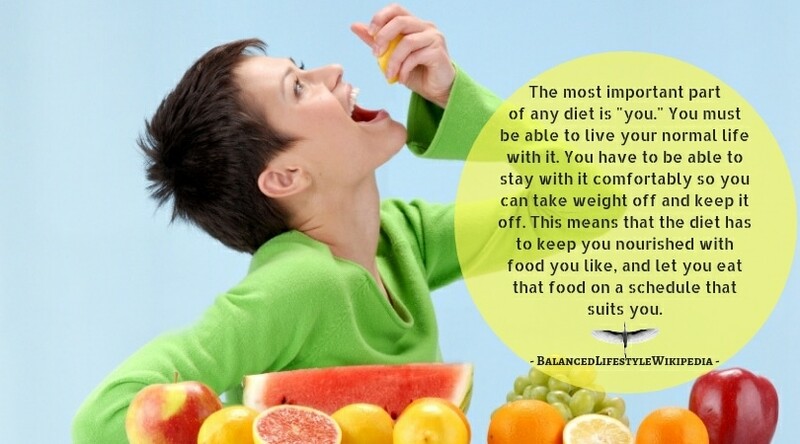 If you think this diet will be hard to locate or expensive, you are wrong. You begin the diet the way a tailor starts on a suit–with the taking of measurements. To measure yourself, write down the answers to three questions: What kind of person am I? What kinds of foods do I like? What kind of life do I lead? Under Kind of Person jot down characteristics that will affect your dieting. Are you determined? Well-disciplined? Or have past tries at dieting suggested that you–like most of us– are self-indulgent or easily discouraged? Play fair. There’s no point in describing a paragon and then being disappointed when plain old you sneaks a piece of cake. If the cake-sneaking sounds all too likely, figure out the times when you are most apt to give in to temptation. Do you stick to a diet when you’re alone? Or maybe with you, it’s when you’re with people. Do you nibble while you read or watch television? Are you a bedtime snacker? Tell the truth. Under the same heading write down how much weight you want to lose, what your goal is. Be realistic. If you’re a short, stocky person who comes from a family of short, stocky persons, no diet will make you tall and slender. Success for you is being the most attractive you. Now move to Kinds of Foods I Like. Divide this list into four parts: 1) meats, fish and poultry; 2) dairy products; 3) fruits and vegetables; 4) potatoes, cereals and all things made of flour. Nutritionists call these the basic four food groups–the kinds of food we must have to stay healthy and to feel well fed. They feel a good daily rule is two helpings of meat, fish, poultry or allied proteins (like dried peas or beans or nuts); two helpings of fruit and two of vegetables; two helpings of milk or milk- based foods–cheese, for instance; four helpings of potatoes or enriched cereals or cereal-based foods–bread, pancakes, spaghetti, anything like that. List your favourites in all four groups. If too many items fall into the rich-and-gooey, super-fattening class, think a little and list plenty of less-fattening things that you also like. Finally, on to Kind of Life I Lead. What is your daily pattern? Your weekend activities? Note meals you eat away from home. Think back over the past few days and jot down all the times you ate or drank anything. For example, do you take a coffee break every morning at ten? What about the cocktail or two before dinner and after-dinner drinks? Keep in mind that you’re chiefly concerned with your schedule as it affects your food intake and your need for energy. If you take in more food calories than you spend, you’ll gain weight. If you take in fewer than you spend, you’ll lose weight–because you will use up calories from your stored body fat. Most adult women need 2000-2200 calories a day; men need 2200-2600. But an adult who wants to lose weight steadily should limit himself to 1200-1400 calories a day. A person who is more active or willing to lose weight more slowly can take in a bit more. Consult your Kind of Person and Kind of Life lists and decide how active you are, how rapidly you want to lose weight and how determined you are. Then settle on the number of calories you are going to give yourself each day. The calorie content of the foods you like. You already have a list divided into the basic four food groups. Buy a pocket-size calorie chart, and learn their calorie content. The number of helpings of the basic four you are going to include each day. Your calorie chart figures helpings in terms of so many ounces of food or so much of a cupful. Train your eye to be your measuring device. Weigh four ounces of cooked meat or fish, measure out a cup of spinach or peas, a half-cup of cooked rice or cereal. Then put the food on a plate, take a good look at it, and remember. Your own eating pattern. Go over your Kind of Life notes and make your schedule–the times of day and night when you are used to eating or drinking something. Note what you’ve been having at each time–a meal, a snack, a drink or sweet. Put a check mark beside the times which are most important. Now fill in the schedule. Select foods you like and check to make sure you’ve included the proper helpings. Portion size is critical! Write down meals and snacks for one ideal day. Include everything–the cream in your coffee, the icing on the cake, the works. Next, add up all the calories. Don’t be surprised because the total is considerably higher than the 1400 or so you were aiming at. This sample menu tells you not where you are going, but where you have been. Trimming down your over-caloried menu isn’t too hard when you stick to the eating schedule you are used to. For most, the hardest thing about dieting is being locked into a breakfast- lunch-dinner-and-that’s-it routine. On a tailor-made diet, the snack times continue as before. The only thing that changes is the kind or amount of snack food. For instance, look at the calories of the snacks of your ideal menu. What did you have? Apple pie? 330 calories. A small candy bar? 155. A bedtime sandwich and a glass of milk? 610. Can snacks like this stay? Certainly not all of them. You’re planning a diet, not a miracle. If your Kind of Person list says that you are self-indulgent and must have a daily piece of pie or a cocktail or two, go right ahead. You will have, of course, that many fewer calories to spread over the rest of the day–but it’s your day; they are your calories. However, there are many ways to snack without overspending calories. Wheat Thins, for example, are only nine calories each. Animal crackers are 12. Raw fruits and vegetables make good snacks. A peach is only 35 calories. There are low-calorie diet candies and artificially sweetened diet drinks that count very little. With your eyes sharpened by the low-calorie possibilities in snacks, shift them over to that ideal menu. Even without snacks, the three meals a day probably cost too many calories to fit your diet. Or maybe they are costing calories you’d rather spend for special treats– a weekend party or a fudge sundae to celebrate the loss of the first five pounds! This sort of reward is something every dieter should occasionally permit himself. After you’ve had a small splurge, you’ll be content to count calories again. Trim your meals by selecting calorie bargains from among the things you like. The more bargains you can include, the more food you can have. For example, consider at breakfast time a slice of melon at 35 calories, rather than a glass of orange juice at 90. Or why not have a poached egg at 75 calories, instead of a scrambled one a 110? And save the Danish pastry for a snack later on–maybe for two snacks, with half each time. At noon, you can have just as much food and feel as well fed with a roll and a fruit salad with cottage cheese as with, say, a hot roast-beef sandwich. You’ll save 200 calories. If you build dinner around broiled chicken instead of chicken a la king, you’re 100 calories ahead. And if you select baked fish rather than pork chops, you’ve saved a walloping 350! And so it goes. By building meals around calorie bargains, giving yourself rewards and sticking to a schedule you like, you can complete the tailoring of the diet you really need. The most workable way is to plan menus a week at a time, keeping your activities in mind. Do you bowl every Thursday and wind up the evening with your teammates over hamburger and beer? Put it down and work the rest of Thursday around it. Trim a little off the rest of the week to pay for dinner out on Saturday. Your life determines the diet, not the diet your life. Plan it to suit you, and it will serve you well. Following any diet–even one especially made for you–is not easy. Here are some hints. At the beginning, omit salt. With unsalted food, you don’t want so much. Eat slowly, preferably with someone, so you’ll have conversation–something to occupy your mind–besides the eating. If you must eat alone, read or listen to music when you can. Keep your meals small, so you can allow yourself a lot of extra nibbling. Serve meals on smaller plates: they’ll look larger and keep you happier. A great deal of overeating is done out of boredom. Don’t let yourself be bored. The start of a diet is a good time to begin an activity: get the garden in shape, or paint a room. When your hands are busy–and dirty–you’re not as apt to want food. And the extra activity burns up calories. Finally, weigh yourself only once a week. You’ll have lost enough weight to feel successful–and nothing succeeds like success! Success here doesn’t just mean loss of weight. You will also be eating your way to better health. And since thin people live longer than fat ones, you’ll be able to look forward to more time with everything you enjoy. It’s a big pay-off.